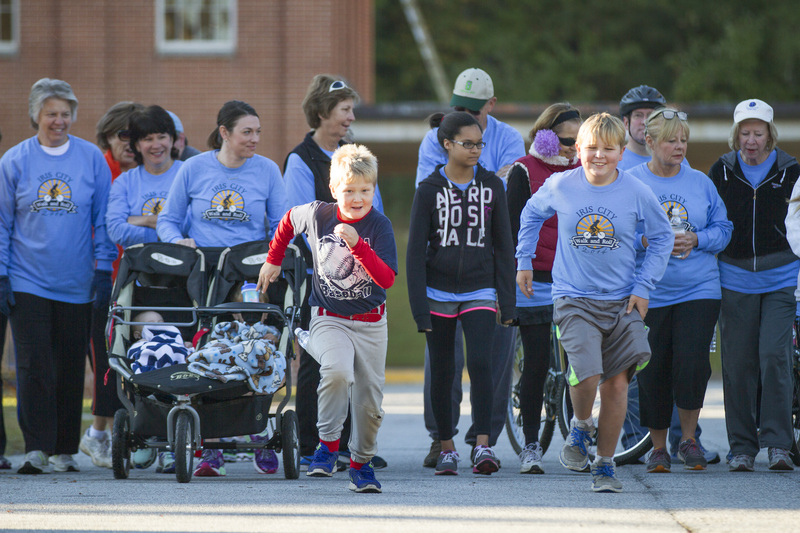 On a chilly, but sunny Saturday morning in late October, First United Methodist Church held the fourth annual Iris City Walk and Roll, designed to raise money for selected causes. Including volunteers, approximately 75 people participated in the fundraiser. Those who registered paid $15 to participate. Not only did they receive a long-sleeved tee shirt but also a gift card and bottled water. The Iris City Walk and Roll evolved from Run for Griffin, an event that a former associate pastor spearheaded twenty years ago. The committee is already planning special activities for the event in 2015, since it will be the fifth one. To learn more about the 2015 Iris City Walk and Roll, call the church at 770.228.3020.